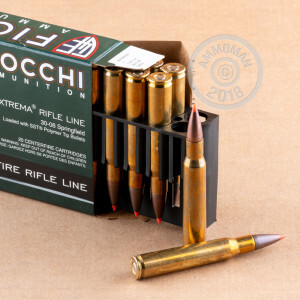 These cartridges fire a 150 grain Super Shock Tip bullet at a muzzle velocity of 2,900 feet per second and will deliver great groups at extended ranges thanks to the sharp polymer tip. 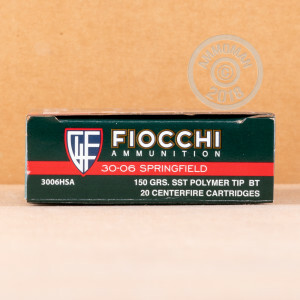 Like all Fiocchi ammo, this ammo uses non-corrosive Boxer primers and brass cases. And remember, all orders over $99 at AmmoMan.com ship for free. Grab a case and get to the range!